Have you Broken Up with your Make Up yet? Dear lover of healthy, happy skin! You must have realized by now that the chemicals used in cosmetics are damaging your skin and body. Do get over your past relationship with harmful cosmetics immediately. And don’t delay, now is the time. Act now! Recent studies have shown that chemical usage in cosmetics is increasing every day! And to make matters worse, cosmetics manufacturers don’t disclose the chemical ingredients of their products, citing trademark confidentiality! These companies keep you in the dark and they apparently are very ‘shy’ to disclose their secret ingredients. Let us expose the truth, the secret ingredient is chemical X and here, X = limitless harmful chemicals! So it does not really matter what chemicals are used in your make up products, they are all harmful to your skin. But there is a safe, natural way to healthy, glowing skin. Coconut Oil: You must’ve heard of those expensive anti-ageing products, but do you know that common coconut oil has great age defying properties?! It penetrates through the skin, prevents wrinkles and is also full of anti-bacterial elements! Lemon and milk: Conditioners are meant to make your hair smooth, soft and shiny, but do you know that the toxic ingredients in conditioners can damage your hair and result in breakage! The natural alternative for a conditioner is the combination of lemon and milk which keeps your hair silky and nourishes your scalp to make for a healthier head of hair. Turmeric and curd: There’s no chemical available which can cleanse your skin better than turmeric and curd paste. The curd washes away all the dirt in your skin and turmeric gives a glowing effect to it. Fruit facial: Fruits such as papaya and banana are great for your skin! Applying papaya on your face makes your skin clear, while banana paste can cure sun burn pretty effectively! Before we sign off, all we would like to say is that it’s never too late to rectify the damage that has been done to your skin already. Go natural and stay that way forever! Do tell us if you found the information above interesting and useful! Categories: Natural Mantra | Tags: acne, banana, break up, coconut oil, curd, dry skin, facial, harmful chemicals, harsh, heat, lemon, make up, milk, moisture, skin, skin care, summer skin care, sweat, turmeric, weather | Permalink. Dear lover of glowing, healthy skin! Summer is that torrid time of year when a lot of things happen! Summer romances and midsummer nights’ dreams, intense heat and cool shade. In all these vagaries of Mother Nature, your skin does take a real beating! 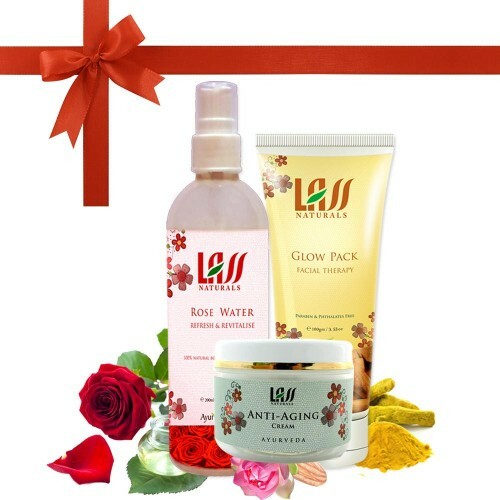 Healthy, glowing skin is of course priority No.1 for health and beauty-conscious women like you. And when you are aware of the need for an organic and natural way of living to lead a life of holistic wellness…we are sure you will appreciate the importance of certain basic steps you could take to enhance the inner beauty of your body and skin. There are some most surprising bad skin habits you need to break up with to achieve this goal. Some women use up to 12 cosmetic products per day, exposing themselves to about 175 different chemicals! Do you know that if you tug at your face to put on eyeliner, that could cause premature wrinkles? So whatever one does, one should be within limits…for example, a common mistake is makeup overload! Leaving the house without makeup may make you feel like you’re walking around naked for a few minutes, but after awhile it’s kind of refreshing! Allowing your skin to breathe will help prevent clogged pores and breakouts while avoiding premature aging. So, if you really believe in natural beauty and health, take a walk on the wild side – ditch your makeup, break up with it, especially the artificial variety that gets applied like a pancake on your face. Anything you put on your face other than sunscreen and moisturizer can’t be that great for your skin. Do you know that makeup creates mayhem on your rapidly ageing skin? In fact, falling asleep with your makeup on can lead to bacterial infections, clogged pores which can cause acne (and morning pimples! ), and residue that can stay on your pillow and cause you to get sick. Make sure you always wash your face at night and in the morning too, to remove all the oil & dirt and unclog your pores and thus prevent acne. Keep your skin moist with natural moisturizers, for without that moisture you are more prone to wrinkles and dryness, especially in the summer. The big hype now is that mineral make ups are natural. But all you are doing is clogging the skin with them, creating more black heads, and compromising your natural beauty… why would you need to cover a flaw, blemish, etc. when you can prevent them by cleansing your skin with soap and water, and rehydrating the skin with something that balances out your type of skin. We know breaking up is hard to do, but keep in mind when you intake excess sugar it hurts the collagen nestled in your skin leaving you with sag. Fight your sweet tooth with organic fruits like pineapple or mango. If you love air-conditioning, especially during the summer months, this tip will probably catch you off guard. Instead of cranking up the cool air, turn your air conditioner down, giving your skin extra moisture. If your cooling unit is always blaring, you’re stripping the air of humidity and moisture your skin needs. Soft skin is a sign of youthfulness so of course we all want soft smooth skin. Moisturizing morning and night is recommended to maintain the health of your skin. If you are over say 25 you should use two different moisturizers, one at night and one for during the day. Why? Because we want to give our face all the kisses of goodness it needs in the evening but also need to protect it during the day. During the day an organic sunscreen is an absolutely must. If you are not doing that you might as well do nothing because your poor skin will look old long before it should if you are not protecting it from the sun. Ex-foliating is the perfect way to keep your skin youthful and healthy by getting rid of all those dead skin cells to expose the beautiful healthy skin that is just below that mask of grease and make up. Just check out this link to find what special summer offers Natural Mantra has for you to take care of your skin! If you have any questions about skin care or the best choices for you, please feel free to comment below and we shall answer your questions. And to put on a thinking cap, do remember that the best way to avoid stress, is to take time to do something you enjoy like yoga, read a book, cook or take a walk. Categories: Natural Mantra | Tags: acne, break up, dry skin, harmful chemicals, harsh, heat, make up, moisture, skin, skin care, summer skin care, sweat, weather | Permalink.